Unfair Wills / Blog / Challenge/ Contesting a Will / Succession Act 2006 – Are you entitled to make a claim on a deceased’s estate? A person who believes they have been unfairly excluded from a will or other testamentary disposition may be entitled to make a claim on an estate. Chapter 3 of the Succession Act 2006 (NSW) (the Succession Act) applies to the estates of all persons who died on or after 1 March 2009. A claim under the Chapter must be commenced within 12 months from the date of death and is available to anyone who had a “close personal relationship” with the deceased. This class of persons is defined, and includes, among others, spouses, former spouses, children, and de facto partners. A person must fulfill additional criteria in order to be eligible for their application to be granted and various matters are relevant in this regard. These include any family or other relationship between the applicant and the deceased, the nature of that relationship, and its duration. The nature and extent of any obligations owed by the deceased to the applicant, the nature and value of the estate, the financial resources of the applicant, the age of the applicant, provisions made by the deceased for the applicant in life, and various other matters, including any that the Court thinks relevant, are also taken into consideration. The recent case of Milewski v Holben  NSWSC 388 demonstrates the scope of the Chapter and the circumstances in which an application may be made outside the 12-month limitation. The deceased was born in 1961. He met the Plaintiff in Detroit, USA, in 1987 and their relationship soon commenced. In 1988 they were married. The deceased was a businessman who travelled frequently in “a fairly single minded pursuit of business…” Despite her attempts to settle in Australia, the Plaintiff could not endure separation from her family in the United States. In 1994 the deceased filed for divorce and the Plaintiff reluctantly acquiesced. There was no application for a property settlement and the Plaintiff retained hopes of rekindling the relationship. They remained in contact and the deceased would sometimes make statements that encouraged the Plaintiff’s hopes. In the course of business he would continue to visit the Plaintiff and her family. This occurred despite each party’s relationships with others. Indeed, the deceased had children with another woman in 1999 and 2003. He married this other woman in 2009. Despite his “deep and abiding affection for his second family” the deceased maintained contact with, and even a “strong, continuing affection for”, the Plaintiff. In 2011 the deceased informed the Plaintiff of his terminal cancer. He indicated that he would ensure some financial support for her. Lindsay J found that the Plaintiff’s 5 month delay in filing her application was explained by the fact that she did not discover the possibility of making it until she was served with formal notice of her entitlement to do so, which occurred nearly 12 months after the death when a similar application had been made by another. This, together with the fact that she lived in the United Sates and that no material prejudice to the defendant could arise from the late application, was held to be enough to make an order allowing the application to be made out of time. Despite various factors against the Plaintiff, including the relatively short length of her marriage to the deceased, the length of time between their divorce and his death, and a lack of frequent contact between them, Lindsay J granted the application. It considered as important several factors. It found that the Plaintiff had never completely “moved on” from the relationship. The deceased had promised to make provision for her welfare. The relationship was ongoing, although irregular, in nature. The deceased left a sizeable estate including a multi-million dollar property, large trust funds, business assets, and millions in liquid assets. Further, the Plaintiff’s personal circumstances were modest. After a lifetime of full time employment in Detroit she owned a modest, mortgaged home in need of repair and was of modest means. Against the large estate, the Plaintiff made a relatively small claim of $230,000 for her maintenance and welfare. In the event Lindsay J awarded the Plaintiff $200,000 from the notional estate to provide within reasonable limits for her welfare and aspirations. 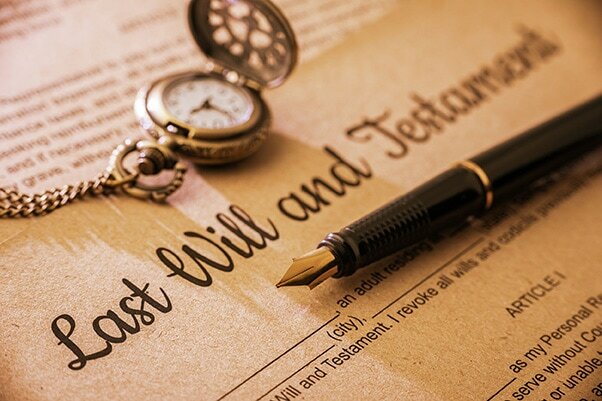 If you feel you have been unfairly excluded from a will or testamentary disposition you should consult a lawyer in order to determine whether you may bring such an application. Moreover, preparing such an application requires attention to the specific factors listed in Chapter 3, and a lawyer can help you in this regard.